At ACA we take a web-standard approach to everything we do. And we see the built environment as an extension of the web. In webpage design the focus is on key components such as attracting visitors with content, converting visitors to customers and keeping customers engaged in what most in-bound marketers call the delight phase. Below, the in-bound marketing method- source Hubspot. 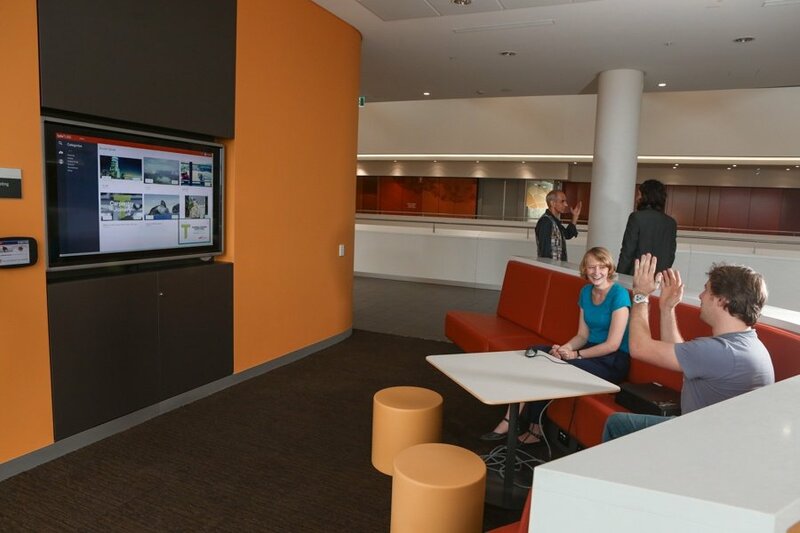 With a web-based media and control platform powering your building, you can take the same approach. Attract visitors with the combination of architectural design, media and geo-location technology. Convert visitors to customers through great user experience and astute call-to-actions. For example, display-based media that leads to a mobile way-finding experience, then transitions into in-room control and finally a room service purchase. The lobby to room experience. Continue to delight the occupants and visitors of the building by monitoring, adjusting, improving and extending the user experience. If they are returning to your building- provide a different experience as to first time visitors. To achieve this has never been easier. If you know WHO someone is and WHERE they are you can create a web-like experience in your building. ‘Who’ can be any sort of authentication and if you use single sign-on such as ADFS, Facebook, Google (etc) the sign-in process is seamless. The ‘where’ is a little trickier but only because there are so many options. You could roll out WiFi triangulation, RFID tracking (based on the staff card or hotel access card location), blue-tooth beacons or for the best results, all of these options. Can you imagine your marketing team just guessing how your corporate homepage is performing? Or designing a new interface based on a gut feeling? Of course not, they use data to make informed decisions and ever-evolving user experiences. It’s about time that AV and Building control did the same thing. I will be presenting more on this topic in Sydney at the Integrate show 23rd Aug and Hong Kong at the Exterity technology show caseSeptember 8.